Festivals are lively celebrations of life itself, filled with fun and frolic. The excitement in the air, the joy on people’s faces are just a few of the things that festivals bring to us. Different festivals have different reasons to be celebrated but they all have one thing in common: a celebration to the fullest. There are numerous festivals celebrated in the world every year. 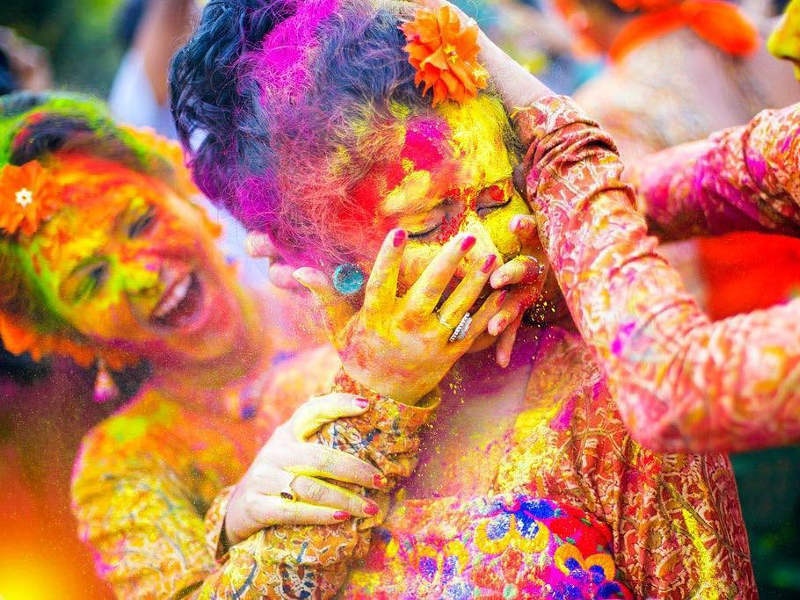 Here is a list of the most fun festivals across the world! The Carnaval in Rio de Janeiro is a world famous festival and is considered the biggest carnival with two million people per day, out on the streets. The typical Rio Carnival parade is filled with revelers, floats, and adornments from the numerous samba schools which are located in Rio. Street festivals are very common during the carnival and are highly populated by the locals. Elegance and extravagance (the main features of the Carnaval) are usually left behind, but music and dancing are still extremely common. Music is a major aspect of all parts of the carnival, as is dance. 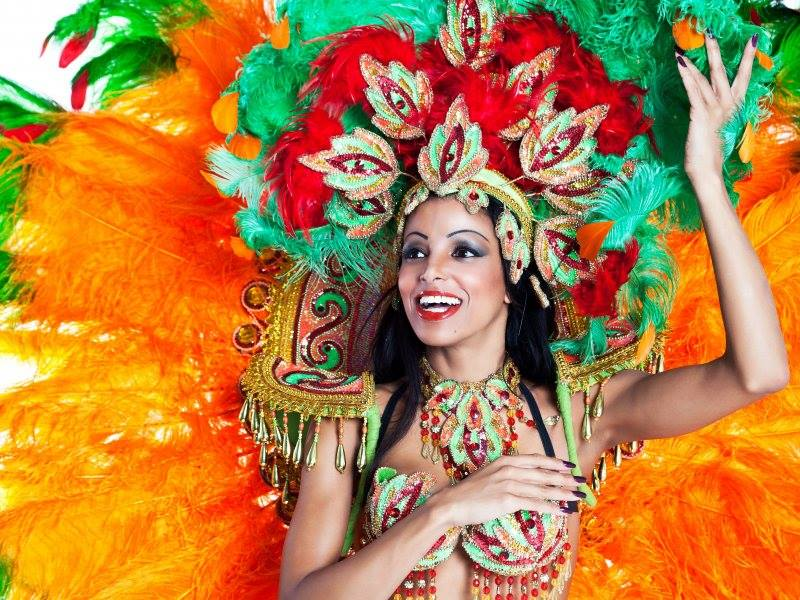 This is the most fun festival in the world, with its irresistible charm of color, dance, music, and extravagance! Oktoberfest is the world’s largest funfair held annually in Munich, Bavaria, Germany. It is an important part of Bavarian culture and is a 16-day long festival running from late September to the first weekend in October. More than 6 million people around the world attend the event every year! Large quantities of ‘Oktober Beer’ are consumed and visitors enjoy a mixture of attractions such as amusement rides, games as well as a wide variety of traditional food such as roast chicken, roast pork, ham hock, etc. There has been a traditional festival opening since 1950: A twelve gun salute and the tapping of the first keg of Oktober Beer by the incumbent Mayor of Munich with the cry “It’s tapped!” in German. You know where to be this October; the largest Volksfest ( People’s Fair) in the world! Mardi Gras is an annual carnival celebration in New Orleans, USA. Celebrations are concentrated for about two weeks before and through Fat Tuesday (Mardi Gras in French), the day before Ash Wednesday. Usually, there is one major parade each day; many days having several large parades! The largest and the most elaborate parades take place in the last five days of the season. There is no general theme for Mardi Gras. The official colors of Mardi Gras, however, are purple, green and gold. It is America’s biggest party and there is revelry throughout the carnival celebration! The Chinese New Year is an important traditional festival celebrated at the turn of the Chinese calendar. At Chinese New Year celebrations, people wear red clothes and decorate with poems on red paper. Red symbolizes fire, which according to legend can drive away bad luck. The fireworks that shower the festivities are rooted in similar custom. The New Year is the time for family reunion. Family members gather at each other’s homes for visits and shared meals, most significantly a feast on New Year’s Eve. The lantern festival is held on the fifteenth day of the first lunar month. People hang glowing lanterns in temples, and carry lanterns to an evening parade under the light of the full moon; some of the lanterns may be works of art. The highlight of the lantern festival has to be the dragon, made of silk, paper, and bamboo. It is held aloft by young men who dance as they guide the colorful beast through the streets. It is a festival filled with colorful activities! La Tomatina festival is a food fight festival held in Bunol, Spain. 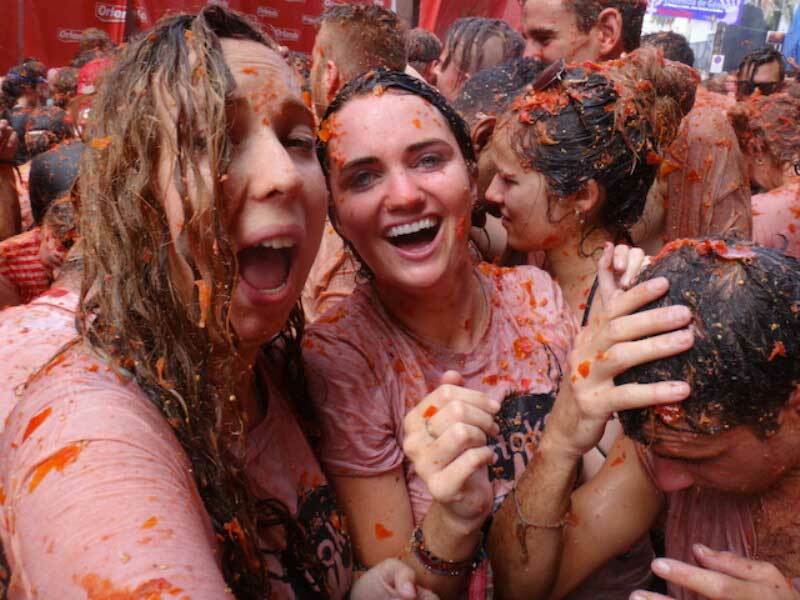 Thousands and thousands of people flock from different parts of the world to participate in the ‘World’s Biggest Food Fight’ where over a hundred metric tons of over-ripe tomatoes are thrown in the street. The week-long festival features music, dancing, parades, and fireworks. On the night before the tomato fight, participants of the festival compete in a ‘paella’ cooking competition. Of course, the food fight has certain rules which have to be followed. This is possibly the most organized food fight that you can come across! What’s more, fun than throwing tomatoes at each other (with caution) and not getting into trouble for it? The festival of lights is definitely one which has to be mentioned for its revelry. It is an ancient Hindu festival, celebrated in autumn every year. It signifies the victory of light over darkness, knowledge over ignorance, hope over despair, good over evil. Before Diwali night, people clean, renovate and decorate their houses. On Diwali night, Hindus wear new clothes, have a family puja and a magnificent family feast, which includes having delicious sweets. There is an exchange of gifts among friends and family and of course, there is the lighting of diyas and decorating the house with lights to celebrate this joyous occasion. Not to forget, Diwali celebration also includes the bursting of firecrackers. This festival is full of fun as near and dear gather to celebrate every year! If witches and wizards have a spiritual home, it may as well be the Mexican town of Catemaco. Witchcraft traditions in this part of Mexico go back centuries and in the 1970s a local shaman had the ridiculously brilliant idea to host a witchcraft convention! The idea stuck and now every year, hundreds of shamans, witches and healers descend upon Catemaco, to perform a mass cleansing ceremony designed to rid them of the previous year’s negative energies. What you should expect from this festival is something more of “Bewitched” rather than the “Blair Witch Project”. Floods of visitors head into this little town to grab a shamanic consultation and to eat, drink and make merry in a bizarre mix of otherworldly fervor and hedonistic indulgence. At the ceremony itself, there’s a stage featuring song and dance performances and stalls selling various amulets – just the place to find that lucky rabbit’s foot you were looking for! Holi is a spring festival, also known as the festival of colors or the festival of love. Though it is mainly celebrated by Hindus or people of Indian origin, it has become familiar with a lot of other communities in Asia as well as outside Asia. The festivities begin with a ‘Holika’ bonfire, the night before the festival where people gather, sing and dance. On the day of the festival, it is a carnival of colors, where participants play and chase each other with dry colors and colored water, some carrying water guns and others, water balloons. The frolic and fight with colors occur in open streets, where anyone and everyone is fair game. People visit friends and family, eat delicacies and sweets, drink and enjoy this festival to the fullest! Carnivale di Venezia, is an annual festival held in Venice Italy, being celebrated since the 13th century. The festival is famed for its elaborate masks. You can see people flock from all over the world to attend this festival, making it unarguably one of the best parties. Masks have always been a part of the Venetian festival; the masks being of various types and undoubtedly brilliant. This masked festival is one that everybody should go to, to experience the elegant display of masks and to revel in the traditional festivities. Saint Patrick’s Day or the Feast of Saint Patrick is a cultural and religious celebration occurring annually on the 17th of March, the death day of the most commonly recognized patron saint of Ireland, Saint Patrick. The festival commemorates the arrival of Christianity in Ireland as well as celebrating Irish heritage and culture. Saint Patrick’s Day is now celebrated by many people throughout the world, Irish and non-Irish alike, with food, drink, and all things green. It has been observed as a religious festival in Ireland for over a thousand years, though only recently recognized for the celebration of the Irish heritage and culture. There is a scrumptious feast, drinks all around and true Irish culture reflected in this festival. A Saint Patrick’s Day parade is also held in Dublin. It is a fun festival, as people join in the festivities, keeping true to their heritage.